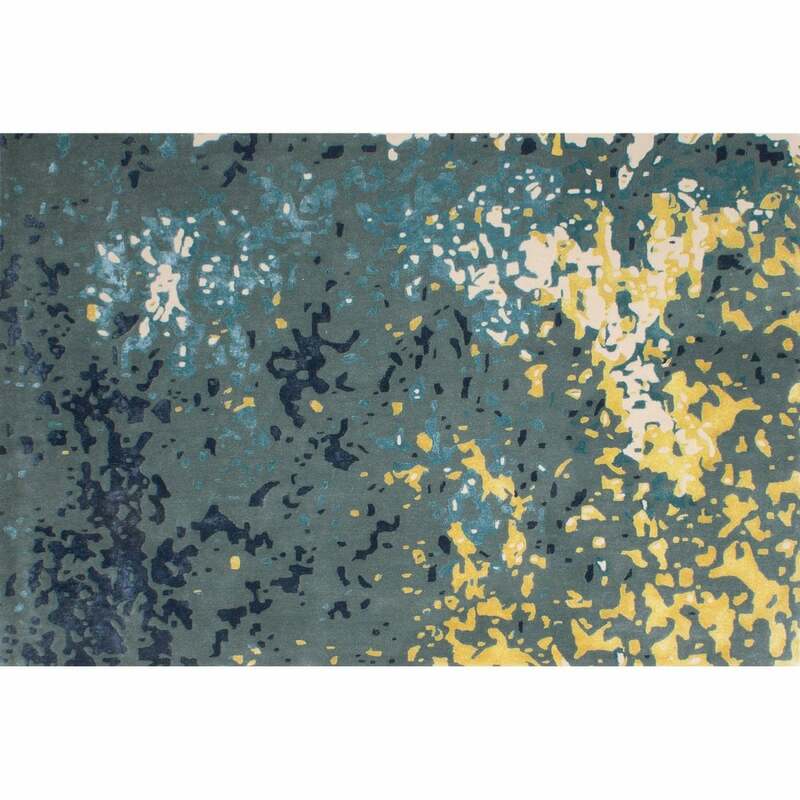 Serge Lesage reinterprets a fashionable terrazzo print with the Granit Rug design. The bold tones of deep blue and aqua contrast beautifully with the splashes of soft cream and mustard yellow. This scattered and artistic composition gives the effect of lustrous granite stone. Hand-tufted by skilled artisans, the Granite Rug uses only the finest New Zealand wool and viscose to create a luxurious texture and comfortable pile. Style with mid-century modern furniture pieces for an eclectic look that exudes a cool, vintage vibe. Available in both standard and bespoke sizes. Make an enquiry for more information.